On this two-hour tour of the Hudson River, guests not only treat themselves to a wonderful experience aboard the Schooner Adirondack but support one of Classic Harbor Line’s favorite non-profit organizations in the process! Rocking the Boat runs an innovative and impactful program for South Bronx youth, teaching them to build, row, and sail traditional wooden boats as well as use them to undertake environmental research projects that are helping to restore the Bronx River. At Rocking the Boat’s seventh Rocking Manhattan fundraiser, 100 people will be raising money and rowing 10 Whitehall gigs around the island. You can participate, too, by buying a ticket on Adirondack, which is serving as the event’s spectator boat. 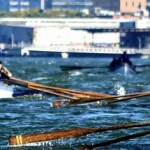 Eat oysters courtesy of Down East Seafood, drink, and be merry as you cheer on the Rocking Manhattan rowers down the final stretch of their 30-mile journey. 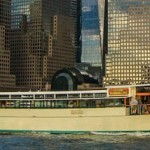 Event details: Depart Pier 25 at 4 pm, return to Pier 25 at 6:15 pm.